I first encountered Claudia Smith nearly two years ago when I read her excellent flash fiction collection The Sky is a Well (Rose Metal Press, 2007). I remember reading a flash fiction piece called “Toads” and marveling at how brilliantly the story was filtered through the eyes of two young children, sisters who go for a walk down by the creek when they are forced out of the house by their parents. They understand their situation, and yet they do not—and yet still there is a wisdom to the way they process the world, by uncomplicated reasoning and pure emotional response. The story was so good it made me want to try to write something similar, an exercise to emulate Smith’s unique style. In addition to her debut chapbook, Smith has also published a web novella titled Sustainable Development (Inkburns, 2004), a second chapbook titled Put Your Head in My Lap (Future Tense Books, 2009), and, most recently, a collection titled Quarry Light (Magic Helicopter Press, 2013). She is also known for her flash and short fiction, published widely in online and print publications. Quarry Light consists of six stories, two of which are flash fiction. These stories are not written in exactly the same style as the flash fiction I was familiar with, but they’re not so different, either. The narrators and main characters in this collections are women, both young and old, responding to trauma, women living alone, women making mistakes. They are women dealing with absent or otherwise negligent men, women who choose the wrong men or, as is more often the case, have the wrong men forced upon them. Smith shows readers the damage young women suffer at the hands of irresponsible older women and violent older men. And, of course, Smith’s skill shows through in the narrative filtering of these characters—women who are often passive but still impulsive and interrogatory, trying to make sense of the world they live in, where they’ve been placed and why they can’t seem to break free. “Catgirl,” the collection’s opening story, is a bold one. The story works, in part, through a contrast of two intertwined plotlines: one that follows four pre-teen girls on a beach trip with the mother of two of the girls, a less-than-ideal role model, and another that follows one of those girls, now much older, making a pilgrimage back to that same spot many years later with her husband and child, hoping in vain that the trip will somehow help save her marriage. The story is centered around a traumatic event that the latter narrative slowly builds up to, and Smith foreshadows that trauma heavily, describing one of the girls’ skin as “dead-girl white” and showing the girls’ conversations about the seemingly magical age of sixteen, which, they decide confidently, will be the perfect age for them to lose their virginity. It’s clear even early on that Smith is pacing readers toward a traumatic scene, but she takes her time getting there, and in doing so forces readers to reflect on themes of innocence, influence and the long-lasting effects of guilt. The narrative lens of the young girls reminded me a lot of “Toads”: the girls are largely innocent, but that doesn’t mean they’re at a loss for processing the troubling adult world they’re on the brink of being introduced to. One gets the sense that they are learning and testing, even at age twelve, the complicated question of what it means to be women among men who will desire them. “Catgirl” showcases many of Smith’s greatest skills as a writer, but the collection is filled with consistently and uniquely good work. Perhaps my favorite story is “As If Someone Had Polished the Air,” a fantastic piece about a young girl named Agatha who, in a lonely search for companionship, discovers a silent young girl hidden in the walls of her home. Agatha’s mother, depressive and alcoholic, doesn’t acknowledge the girl’s existence at first, and Agatha actively tries to make her friend “real,” perhaps even succeeding as the girl becomes, in many ways, more of a presence in Agatha’s life than her oft-absent father. It is a pleasantly puzzling story, and one that is not so easily summed. Smith is a confident and patient storyteller. There are no broad strokes in her writing—her stories are truly built sentence by sentence, each one packed with insights and wonders that complicate her characters in lovely ways. Nothing is ever so simple as it appears, and Smith is a master of inhabiting nuance, showing everything we can learn from small looks and gestures. It seems, at times, that she takes some of the qualities that make her flash fiction successful—concision and compression and voice—and incorporates them in her much longer pieces. And they are successful, indeed. 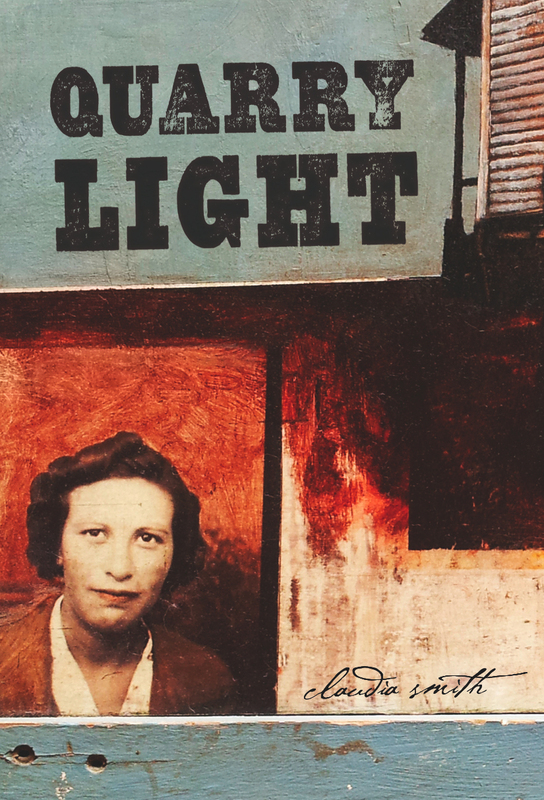 Quarry Light is a well-written and challenging collection, heavy with themes of sexual trauma and abuse. Women know something is wrong but are unable to stop it, unable to remove themselves from the situations they’ve entered or been stuck in. These experiences are filtered through Smith’s careful way with language and her often shockingly resonant insights into the human mind. Justin Brouckaert’s work has appeared or is forthcoming in The Rumpus, Passages North and Gigantic Sequins, among other publications. He is a James Dickey Fellow at the University of South Carolina, where he serves as fiction editor of Yemassee. Find him online at jjbrouckaert.tumblr.com or on Twitter @JJBrouckaert. This entry was posted in Book Reviews and tagged book reviews, Claudia Smith, Justin Brouckaert, Magic Helicopter Press, Quarry Light, Sundog Lit, Sundog Lit Blog. Bookmark the permalink.